There were a few moments during my childhood that I can now pinpoint the exact time they occurred. 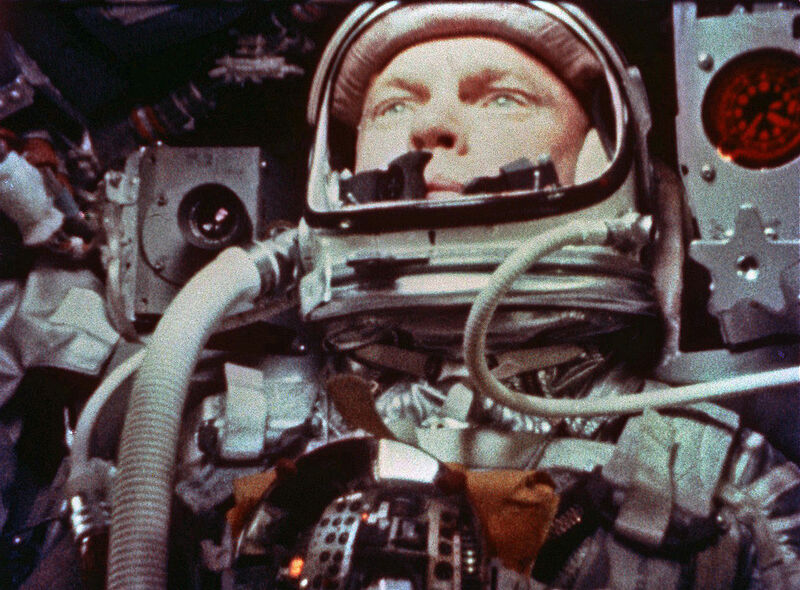 The earliest one happened during the 4 hours, 55 minutes, and 23 seconds on February 20, 1962 when John Glenn was orbiting the earth. I was 3 1/2 years old, and I remember sitting cross-legged on the the living room in front of our black and white TV set completely enthralled. I think I was there for the whole 5 hours, my mother supplying graham crackers and tea to keep me going. I knew enough to know at that early age that something extraordinary was happening, that somewhere way above my head was a man in a metal box wearing a silver suit. What he was doing was so important (said the man with a mustache on our TV) that everybody in the world had stopped to watch. This was the biggest thing I had ever seen. For some reason I can remember with crystal clarity one particular point, when the TV man told us, "John Glenn is now passing over Red China!" And a little cardboard cutout of a Mercury space capsule slowly crawled over communist China on a large map. It takes a lot to make an impression on a 3 year old boy's mind that lasts the rest of his life. All my other memories of world events -- the Kennedy assassination, his funeral, a speech Pope John XXIII made where he said he was, "bleeding inside" -- came when I was a little older. But John Glenn hurtling through space impacted my little imagination early, and he became one of my childhood heroes. Come to think of it, he still is. Come to think of it, that's what a hero looks like to me. He passed today at the age of 95. Godspeed, John Glenn!